Tings Kathmandu The best hotel location in Kathmandu New exhibition opens on April 12! New exhibition opens on April 12! We really looked forward to the opening of our solo exhibition with Chirag Bangdel in February 2017. But due to unforseen circumstances we were forced to cancel – or postpone – the exhibition. 10 years ago we arrived in Kathmandu. 10 years ago, we got our first 3 Nepalese friends. 10 years later we are still friends and are surrounded by his works in Kathmandu & in Lisbon, where we have a room dedicated to him. with works by Chirag Bangdel. But we are not a gallery, so we don’t. As all of you, who have been to our previous openings, know we open our exhibitions with a small party. 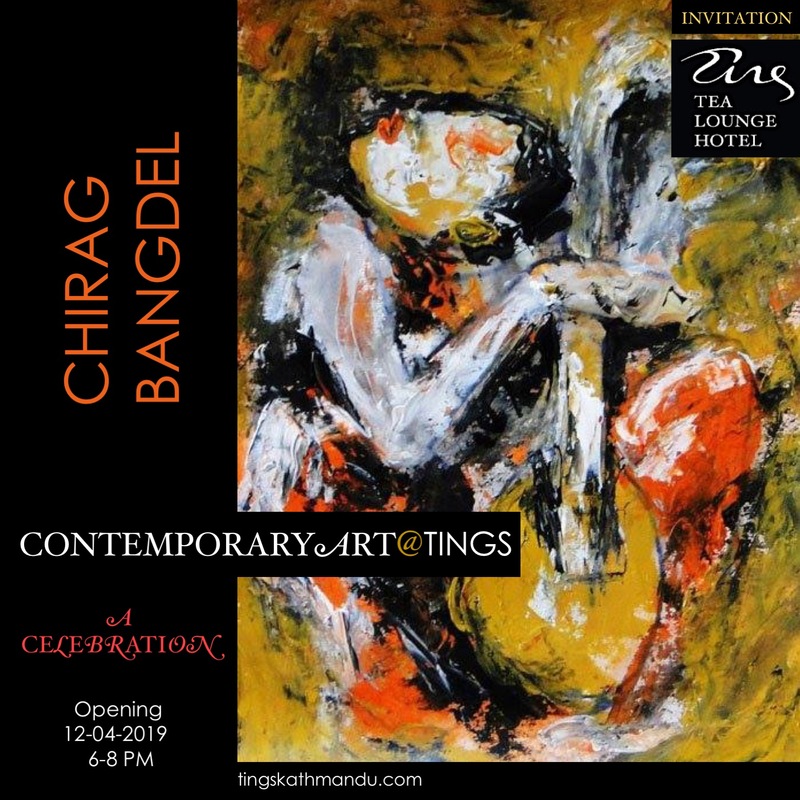 We stick to this tradition and are looking forward to see old, new and future friends for A Celebration at Tings Kathmandu – with drinks & snacks, music and Chirag Bangdel’s beautiful art. Follow our updates about the evening on Facebook. Posted in Art@TingsTagged Art, Chirag Bangdel, FeaturedBookmark the permalink.